Charles started this Practice in 1976. Early in his career he began focusing on the equine field and quickly gained the respect of a considerable following. Charles has set up a program of health care and disease prevention for the equine division within this Practice, that he reviews regularly. 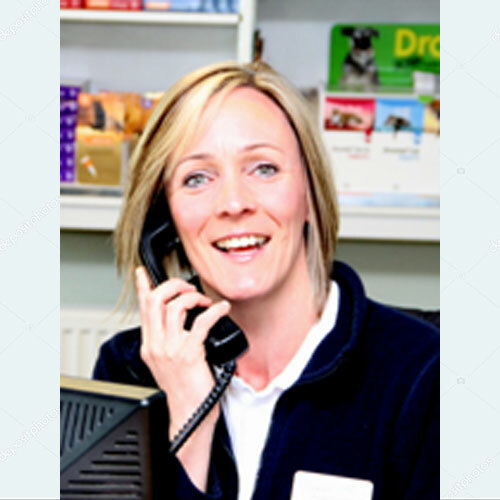 It is with the support of the modern equipment at Riverside Veterinary Surgery that he is able to offer a wide range of diagnostic support and appropriate treatment. 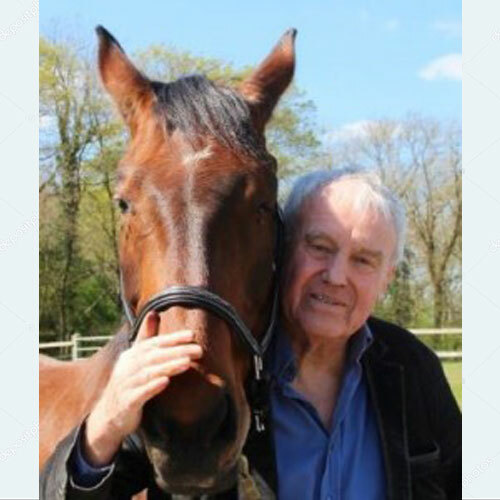 Charles is adamant that an early diagnosis, treatment and support for both the animals and the owners are of paramount importance in achieving the most satisfactory results in every case. We are grateful to have his knowledge and experience as well as his practical operational skills, which are well acknowledged. 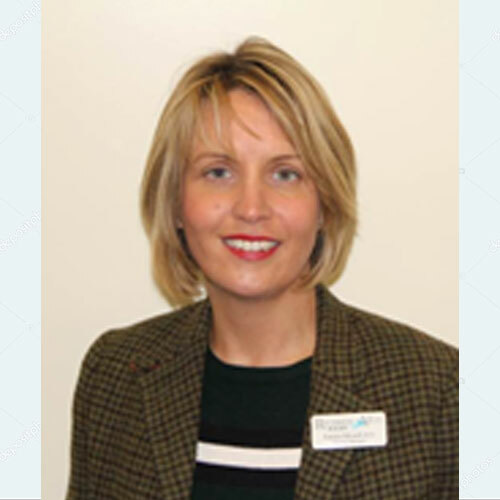 Bridget qualified from Glasgow University in summer 2002, then spent some time working for the charity SPANA in Morocco before joining the practice in January 2003. She has since then gradually focussed more on the small animal side of the practice, and particularly the felines! Bridget enjoys medicine and many types of surgery, and constantly strives to develop further. In 2007 Bridget passed her General Practitioner Certificate in Feline Practice. She enjoys spending time with her cat, Maude, and dog, Woody and enjoys dining with her friends. Bridget also loves to travel and spent a month helping a charity in Africa with a animal neutering programme. 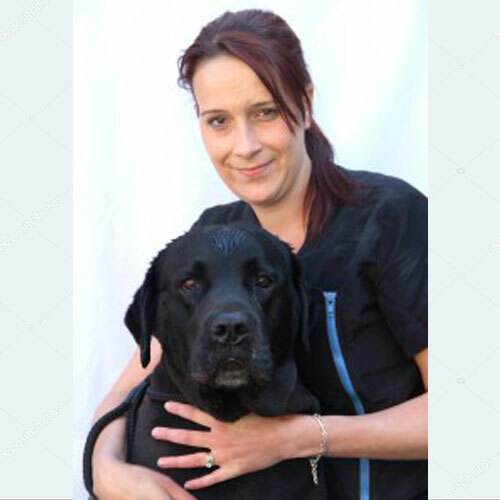 Gemma has worked at Riverside since August 2008 when she qualified from The Royal Veterinary College. She initially spent her time between the Small animal and Equine Departments because she enjoyed the variety that it brought. Now with many years experience in both, her interest has moved now more towards the Equine side. Gemma can now mainly be found travelling round the local countryside, treating horses in need with our up-to-date equipment. Digital X-ray/Video Ultrasound/Video endoscope allows Gemma/owner to see the results of the tests immediately and decide on an appropriate treatment plan. 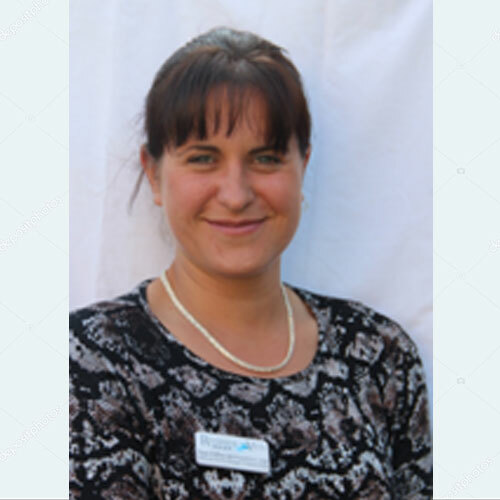 Gemma is a great believer in ‘prevention is better than cure’ and promotes Flu and Tetanus Vaccination as well as Equine Herpes Virus as part of routine healthcare in the horse. A worming regime is tailored according to each horses needs. Gemma has two adorable whippet x saluki’s, called Lola and Bert, is a keen horserider and enjoys travelling. She has spent a month in Thailand looking after street animals and plans to do more charity run veterinary work in the future. 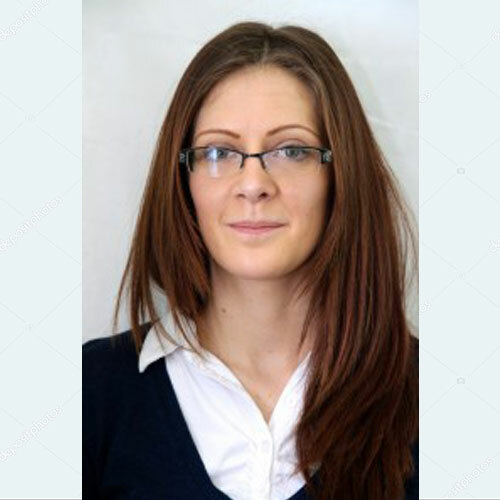 Dominika has recently joined our team and you may have already seen her out and about on her rounds. Dominika qualified in 2007 from the University of Life Sciences in Warsaw, Poland. She has joined us from a mixed practice in Northumberland. 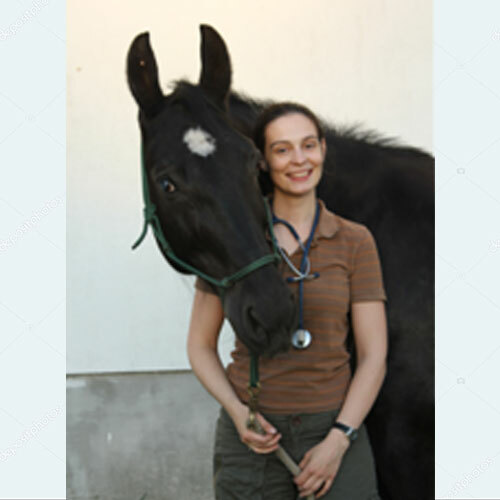 Her main interests are horses and she is studying now towards the Certificate in Equine Internal Medicine. Outside of work Dominika loves travelling and enjoys spending time with her pets – she owns a very energetic small Portuguese podengo, a Siamese cat and a Silesian mare. Steph graduated from the University of Liverpool. 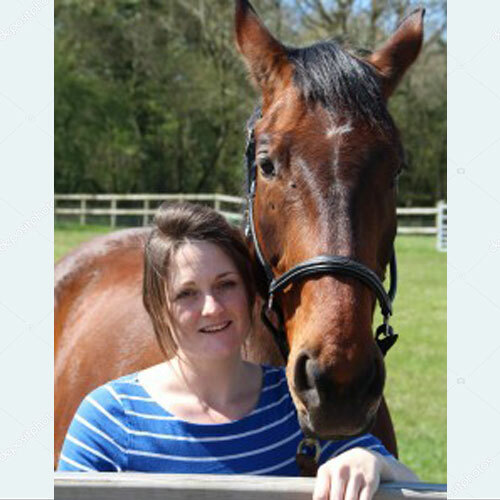 She joined the Riverside team in 2018 as she has a passion for both small animal and equine work. Alice graduated from the University of Glasgow. She joined us in 2018 and enjoys the mix of small animal and equine work that we have to offer. Her dogs keep her busy in her spare time. Alice enjoys walking and training her most recent family member Tatty the labrador. 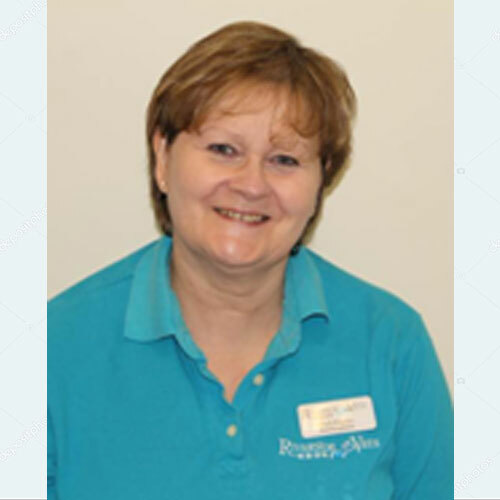 Emma has been with Riverside since 1994. She wanted to be a veterinary nurse since 11 years of age. Putting her dreams into reality, she joined the team as a Saturday girl after impressing everyone with her enthusiasm and hard work, on her 2 week school work experience! 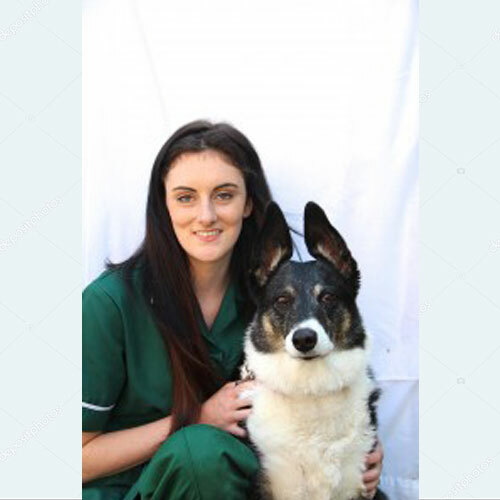 At 17 years of age Emma started her veterinary nurse training and qualifed in 2000. She has extensive experience and skills in all areas of medical and surgical nursing. Weight management and general anaesthesia are her areas of interest. She also has a particular rapport with dogs, especially those with a fractious or difficult nature. 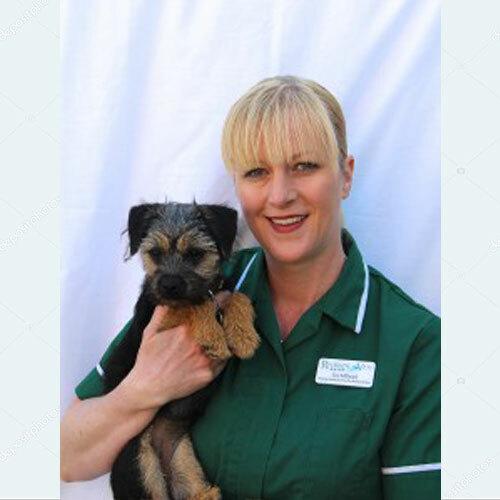 Emma progressed to head Veterinary Nurse, but is now managing the practice. She helps out the nursing team as much as she can, as she loves the contact with animals and clients. Emma is married with four children and has a dog, guinea pigs and chickens to keep her busy out of work. Interests include eating good food, dog walking, cinema and days out to Marwell Zoo, amongst others. 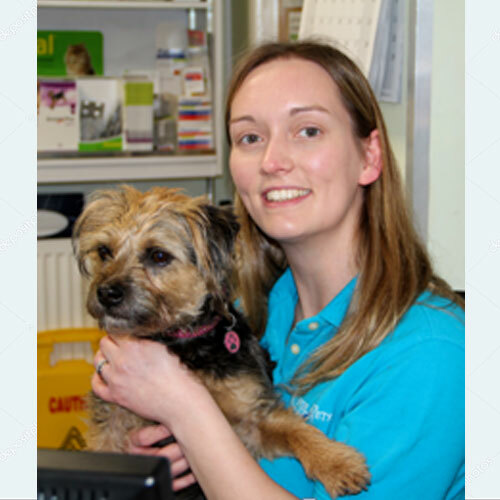 Sam has been with Riverside since she started as a trainee Veterinary nurse in 2001. After qualifying, Sam went on to successfully train many other nurses so that they were too able to pass their exams and qualify. 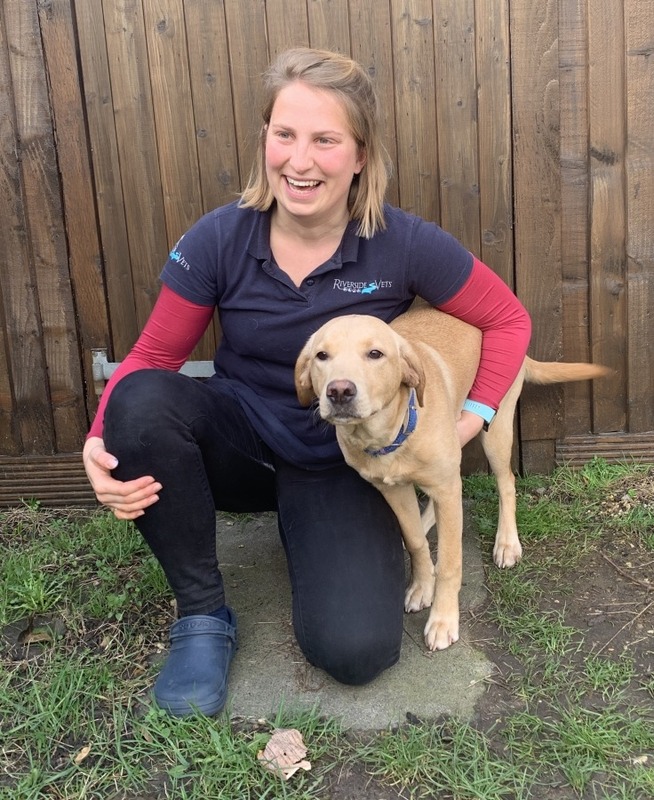 In her time here, she has developed a keen interest in the day to day running of the practice, as well as continuing to be involved with the hands on aspect of veterinary work. Sam and Emma assist the day to day management of the practice. As a farmers daughter Sam has been raised with all animals. She has many pets including cats, dogs, horses and chickens. Her husband, 2 children and her horses keep her busy out of work. Sophie is a Registered Veterinary Nurse. She joined us in March 2010 and did all our nurse training with us and gained her qualification. During work time, Sophie enjoys working with intensive care cases and the monitoring and care that this involves. She also has a particular interest in intensive care and providing care to our in patients. She worked so hard to gain her qualifications and we are very proud of her. Sophie was promoted to Head Veterinary Nurse and now helps to train new staff to meet their qualification goals. Sophie has both cats and dogs – enough to keep anyone busy! She loves socialising, walking her dogs. In September 2016 Sophie was married and has extended her family further in 2018 with the addition of her beautiful daughter. We look forward to her return from maternity leave in 2019! Andrea joined in 2000, leaving a grooming position, to perform animal nursing. She has assisted the vets and nurses for many years, before going back to her scissors! Andrea has a dog and 3 cats. She has had 2 daughters whilst with Riverside and, after maternity leave, she changed to a part time position to do grooming. 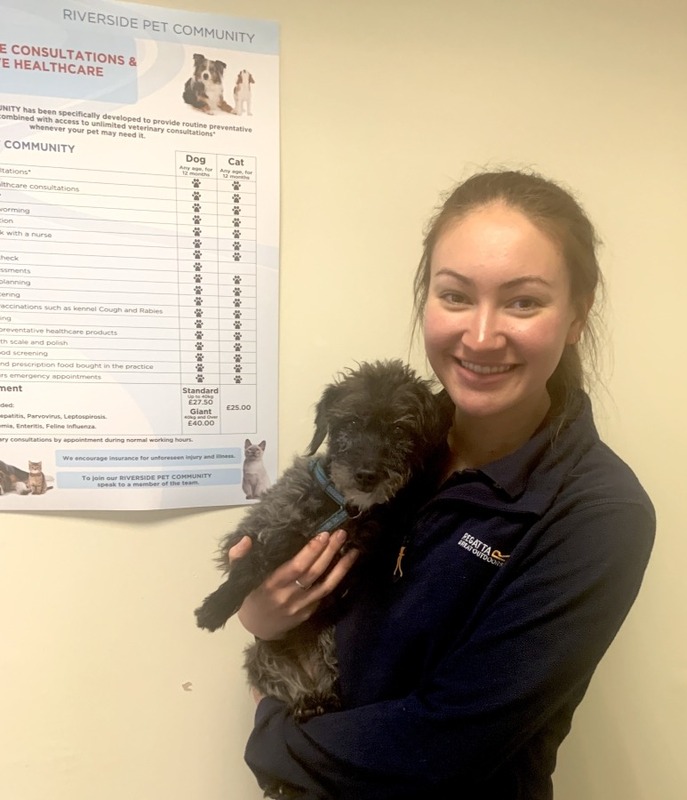 Despite performing her main role within the practice as grooming, she continues to help out the vets and nurses with the patients in the practice. Andrea is well known for her cat handling skills, and is often found calming fractious felines. Hana joined us in October 2014 and has is currently training to become a Registered Veterinary Nurse. Hana has a love for all animals, and is a keen advocate for many charities, including those which help to support foxes and bears. In her spare time, Hana can be found attending live music events and she also enjoys dog walking, photography and cooking. In her short time with us Hana has already managed to adopt a very cute little Ginger kitten, whom she has named Biscuit. 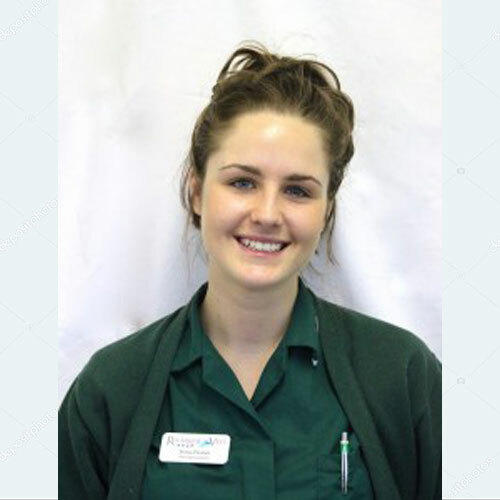 Emilie joined us in September 2015, to progress to train as a Veterinary Nurse. She was with us just a month earlier for work experience. Her skill and team efforts during this time let to her job offer! Emilie moved from France to join us. From a very young age she knew that she wanted to combine her love for animals with her thirst for studying science. She has a passion for biology and animal welfare. She has many hobbies, including horse riding and would like to venture towards further study in the equine area too. We are proud to say Emilie qualified in 2018! Well done! 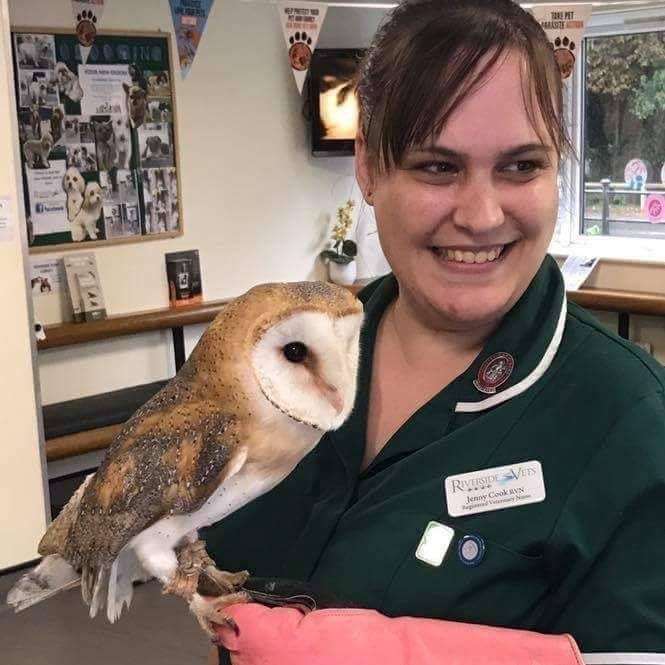 Jenny joined us as a qualified Veterinary Nurse in May 2017. She has an interest in all nursing including nurse consultations. Jenny enjoys the cinema and spending time with her 2 cats. Jenny would like to do a Certificate in Feline Nursing in the future. Phyll has worked at Riverside since March 2003. As Head Receptionist she has full responsibilty for the day to day running of reception. Phyll has 3 dogs, a cat and 2 sons! Phyll is a keen photographer having gained a B Tech level 1 and B Tech level 3. We often utilise Phyll’s skills for practice photos for our displays. Tessa started with Riverside in 2004 and deals with the day to day running of reception. Tessa also assists our clients with the processing and completion of insurance claims. She has 3 dogs and is a dedicated Saints supporter and enjoys regular holidays in Cornwall with her dogs. Tracey joined us in 2007 part time and is a valued member of our team. Tracey has a dog, and more recently 4 beautiful grandchildren to keep her occupied in the spare time! 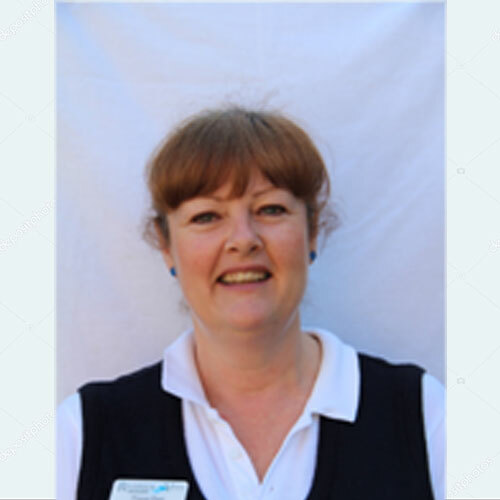 Tracey enjoys family life and, as well as working here she also cares for her grandchildren. Kerry is back! Kerry worked as a receptionist full time many years ago, before she fell pregnant. She lived in America for several years, had another baby, before coming back where she belongs! Kerry now works as a part time receptionist to give a nice work/home life balance. It’s great having her back. Kerry enjoys keeping busy with her family, walking her dog Cooper the Sloviakian wire haired pointer, and dining with friends. Katie joined us in December 2015 to fill a temporary post. We were so impressed she just had to stay! 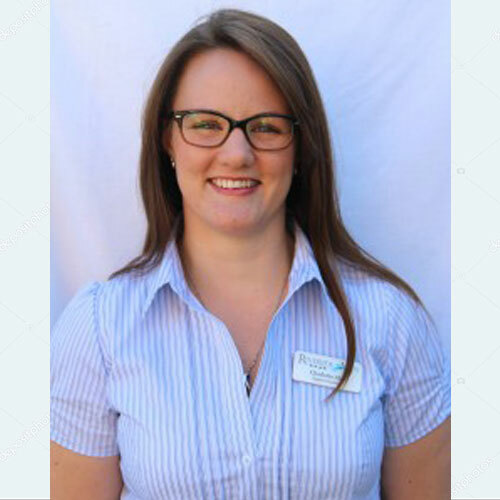 Katie helps in both reception and administration areas of the practice. In her spare time, Katie enjoys long country walks with her husband and two young children, as well as socialising. Stacey joined us in December 2014 and works in our reception area as well as helping with the administration duties of the practice. In her spare time, she can be found covered in mud in the woods with her spaniel and jack russell. Stacey also has a special bond with her harris hawk, whom she tries to fly as often as she can! With a menagerie of animals at home, including two ferrets, two bearded dragons and chickens, you could say Stacey is animal mad! Stacey has recently returned to work following maternity leave. Zoe joined Riverside in 1999. Her work is varied from administration, reception to the general running of the practice. 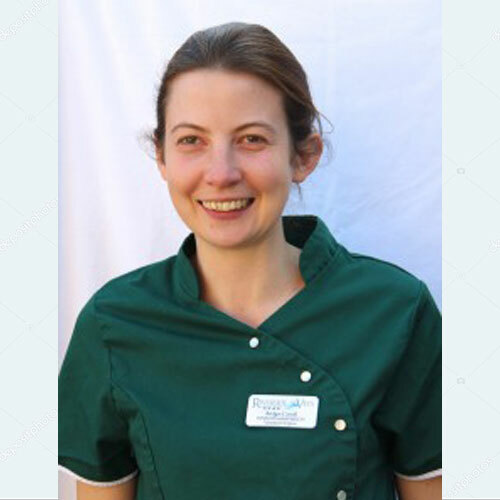 Zoe’s work includes assisting the vets and nurses in a more hands on role. She loves helping to care for the patients and plays a huge part in getting them back on the road to recovery with intensive feeding and care. Zoe’s beloved Rottweiler Tyra was an unwanted puppy that was brought into the surgery. She needed life saving heart surgery, which the Riverside team performed. Zoe nursed her to recovery but instantly fell in love with her. They were inseperable! Tyra was a huge part of Zoe’s life and gave her a precious 7 years companionship before her loss due to another disorder. Losing Tyra broke her heart. She will miss her! We understand how devastating it is to lose a pet; part of the family. Zoe loves keeping busy with her running and tries to do as many charity runs as she can. Charlotte started with us July 2008. She runs the show; phones, diary, equine accounts and computer administration. Charlotte also assists vets with diagnostic workups due to her experience with equines! Charlotte has been horse riding since 6 years old and now competes in BSJA. Charlotte has BHS stage 1, 2 and and a National Diploma in horsemanship. Other hobbies include scuba diving and skiing. Charlotte has 2 horses, 4 dogs, 11 chickens, 2 sheep and a disabled pigeon! Julia joined Riverside in 2007. As well as working on the front desk, Julia also assists with various other admin tasks, including ordering supplies and accounts. She has one dog called Benson (as pictured), who was adopted into the family in 2006. He keeps her busy along with her other hobbies, which include reading, card making and spending time on her allotment. With the full support of her family and young daughter, she left a banking career, to pursue an occupation with animals. Her early years encompassed reception, nursing and administration duties. 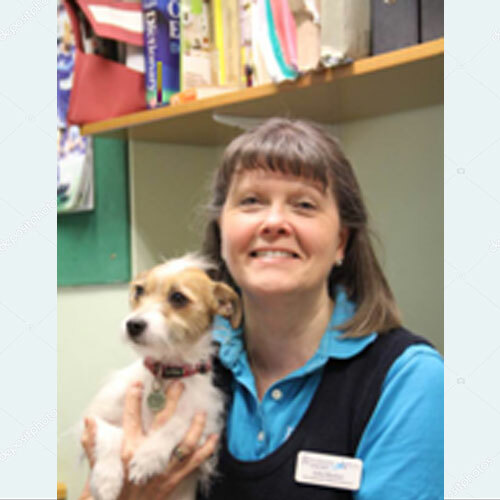 After joining Riverside in 1988 it became apparent that her managerial qualities and general understanding of veterinary matters, would be best utilised as Practice Manager. 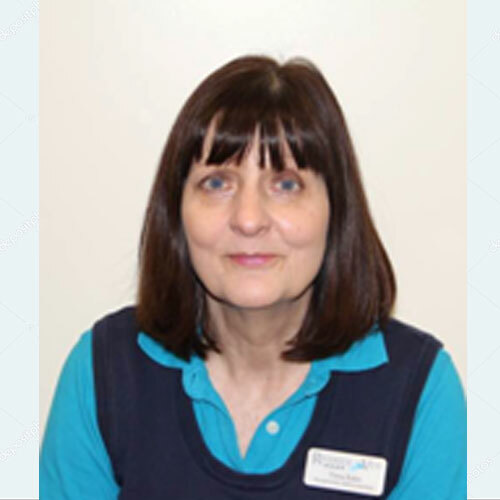 Lesley is almost ready to retire and has reduced her hours to a more background role, working on the accounting side, leaving Emma and Sam to manage the day to day running of the practice. She is a big part of the practice and will always remain so. 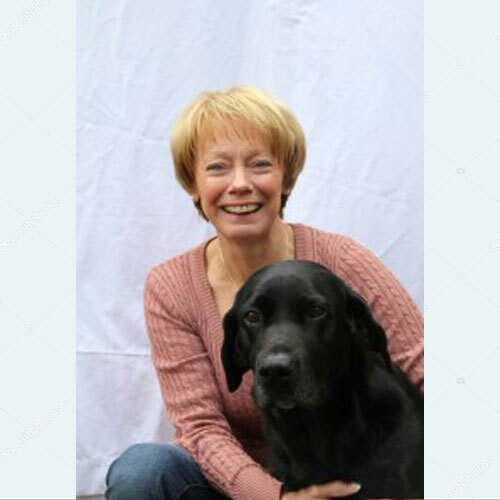 Lesley’s personal interests lie with the countryside and being with her husband and Buzz, their black labrador. All the country exercise keeps her fit. She even ran the London marathon in 2007.